Here at CEE we like to keep you up to date with some of our projects and some of the other things going on within the company. Here you can find our latest news stories as well as some of the key articles being produced by our industries main institutions. 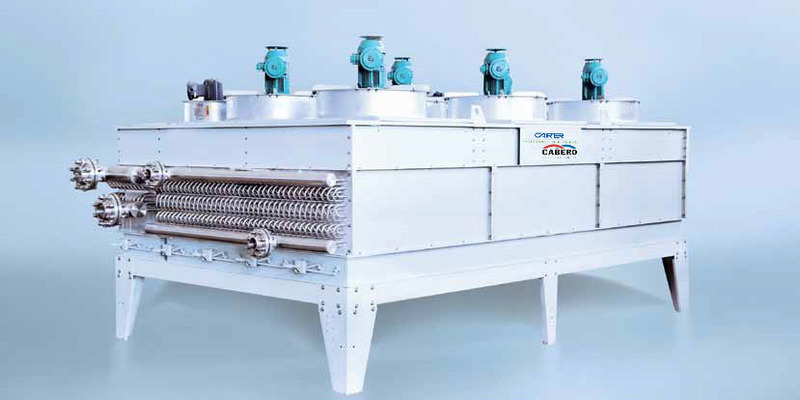 CABERO is one of the leading manufacturers of heat exchangers, for cooling and air-conditioning technology. As an independent supplier of innovative solutions CABERO have been manufacturing for 35 years from their factories in Germany and Hungary. CABERO are able to offer technical support for projects with state of the art technology - flexible, solution oriented and a forward-looking attitude. Whether cooling technology, air conditioning technology, power plant cooling or industrial cooling, we will be cooperating closely with operators, planners, and mechanical engineers. 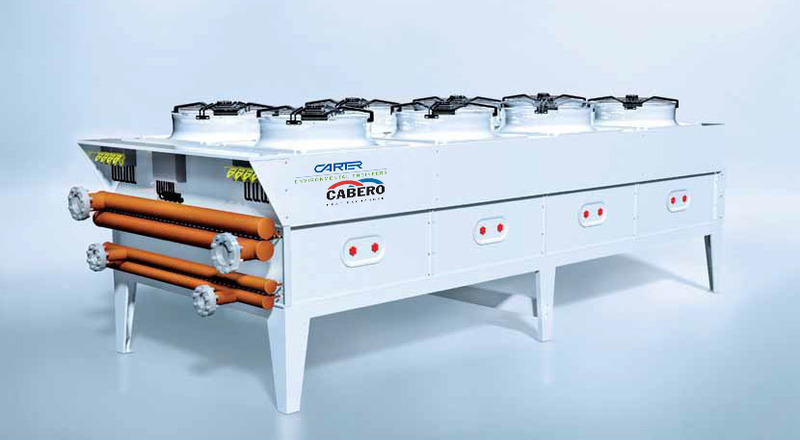 CARTER-CABERO have specially developed software to define the best possible cooling solutions. The table design (horizontal and vertical air flow) is intended for use in commercial cooling and air-conditioning technology. In addition, to the use of renowed quality fans and the selection of best possible materials, the top-quality fans and the selection of best possible materials, the top-quality, sturdy design is a unique feature. The small, V-shape design (vertical air flow) was designed for commercial cooling and air-conditioning, process cooling, power plant systems, etc., particularly for small footprints. 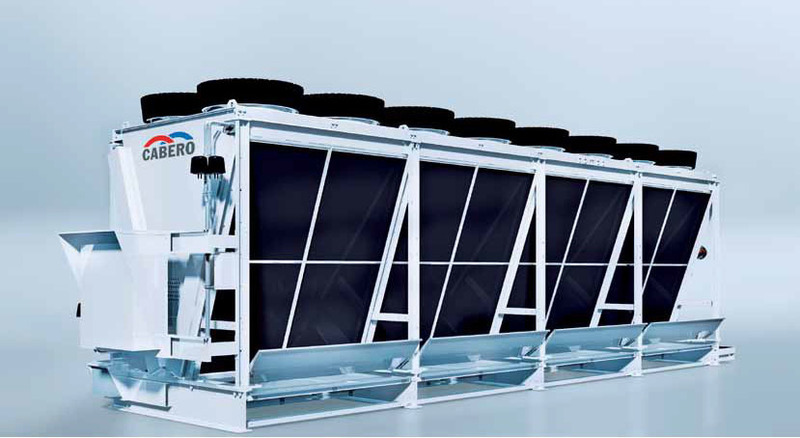 The jumbo-V-shape design (vertical air flow) is intended for industrial cooling and air-conditioning, industrial refrigeration and power plant cooling - particularly for small footprints.The jumbo-V-shape design (vertical air flow) is intended for industrial cooling and air-conditioning, industrial refrigeration and power plant cooling - particularly for small footprints. Description: The jumbo-V-shape design (vertical air flow) is intended for industrial cooling and air-conditioning, industrial refrigeration and power plant cooling - particularly for small footprints. Description:The hybrid design (vertical air flow) was designed for industrial use, cooling and air-conditioning, industrial refrigeration and power plant cooling - particularly for very small footprint. TABLE COOLER, V-SHAPE AND HYBRID IN PRACTICAL APPLICATION ALL MAXIMISE AND COMBINE IMPORTANT ERGONOMICS ASPECTS. COMPARED TO CONVENTIONAL PRODUCTS FROM COMPETITORS, IT PROVIDES BUYERS WITH CLEAR BENEFITS WITH REGARD TO PURCHASE, PRICE AND OPERATING COSTS. 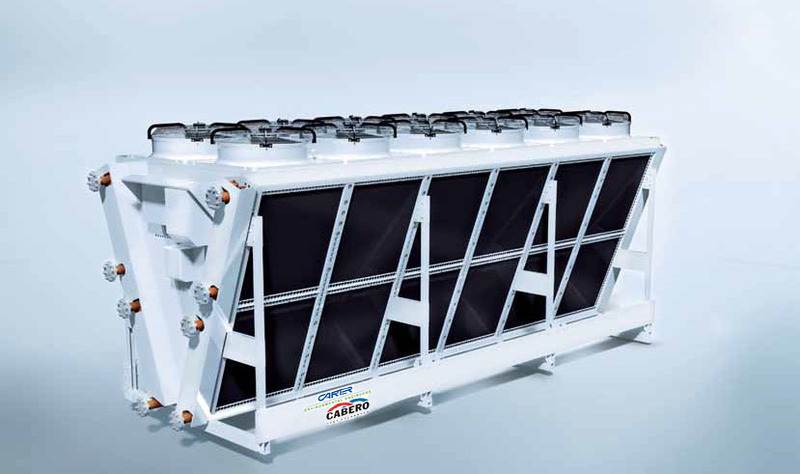 The table design (horizontal and vertical airflow) is intended for use in the power generation industry. 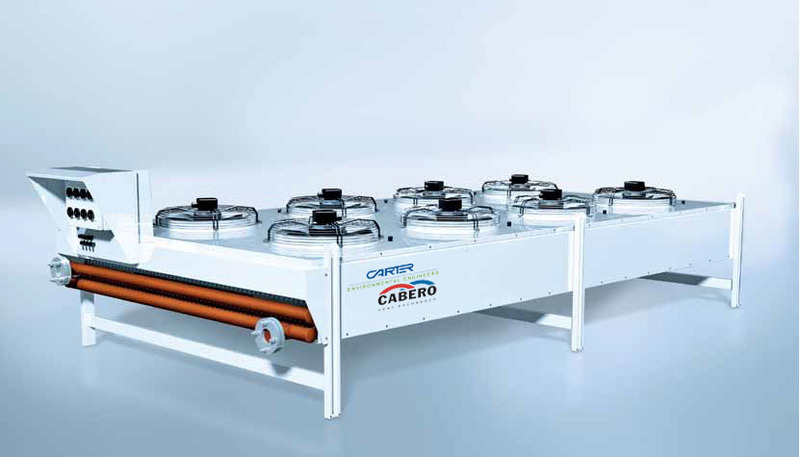 To achieve larger transport volumes (tanker vessels) or better pumping efficiency (pipeline), the gas is condensed with a Cabero LNG condenser under high pressure. The heat exchanger technology provides the user with high level of safety and reliability as well as long service life for the product. A pipe construction running underneath on the side of the heat exchanger with integrated spray nozzles can be used to significantly lower the intake temperature when outside temperatures are high. Water is sprayed from the nozzles into the intake air so that evaporation causes a significant cooling process. These adiabatic systems are predestined for use with absorption cooling systems and compression cooling systems with screw and turbo condensers in industrial cooling and power plant cooling. CABERO condenses and exchanges heat more efficiently through adiabatics. 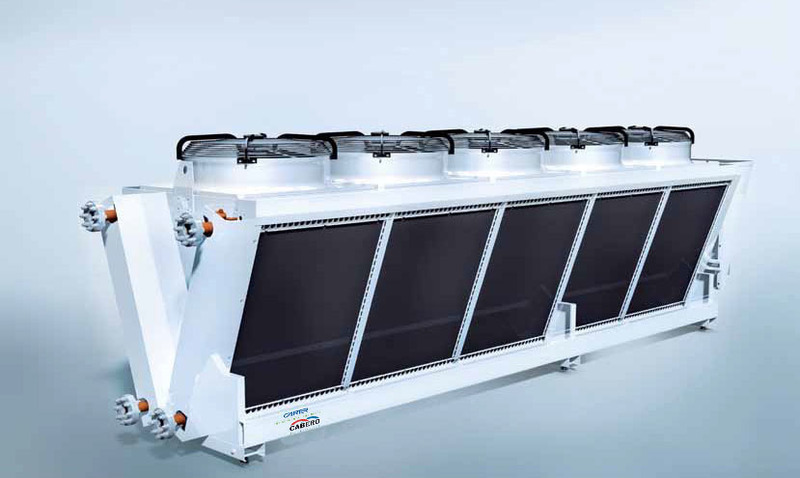 The self-draining system with table design (only vertical air flow)and conditionally V-shape design is used in industrial cooling and air-conditioning, in process cooling and in power plant systems. The patented independent draining of the medium from the tubes is a unique feature - without any other tools such as compressed air, thanks to the heat exchanger placed diagonally upright and a venting connection is integrated into the highest point of the system. 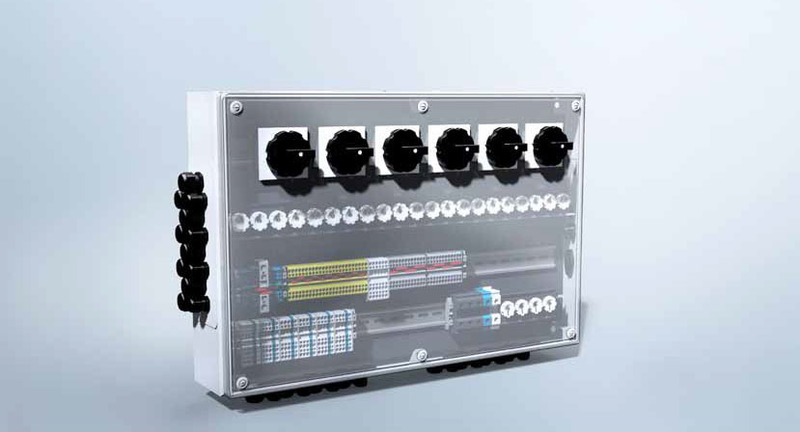 Intelligent control technology from CABERO balances performance and cost to achieve maximum efficiency. It furthermore supports the safety and reliability of the system because malfunctions are signalled immediately so that system and operator can react without delay. 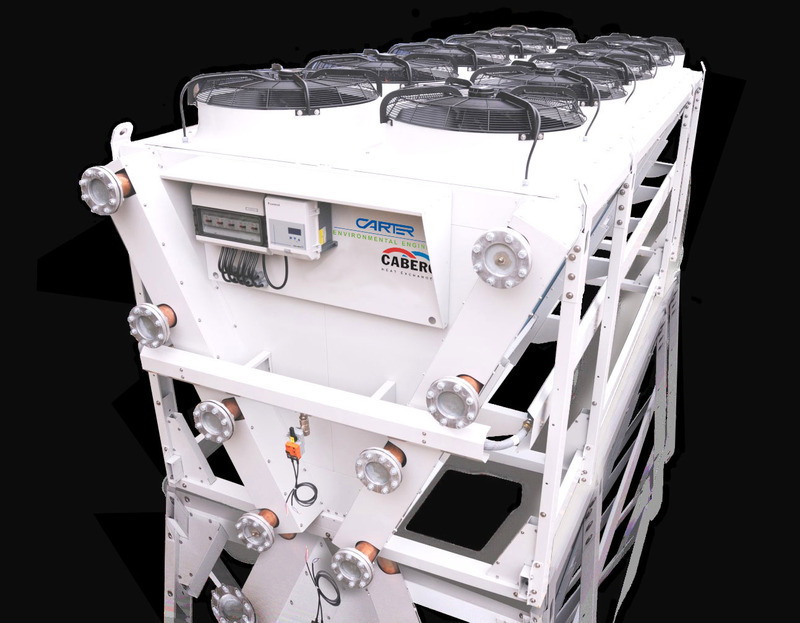 The control technology controls the performance of the fans and wet operation in the area of the adiabatic and the hybrid systems; components such as the CABERO emergency retention systems CERS can be connected.